Italian shipbuilder Fincantieri has received an order for a new ultra-luxury cruise ship from Silversea Cruises. The unit will be named "Silver Muse" and is set for delivery in April 2017. 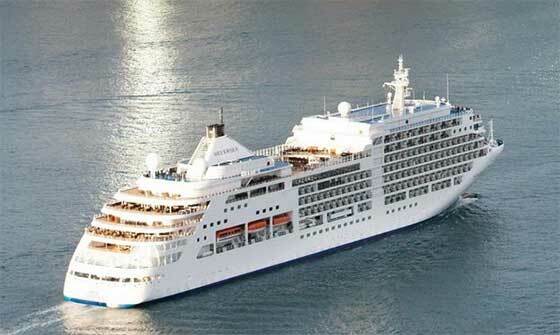 At 40,700 grt and accommodating 596 guests, the new ship will represent an evolution of "Silver Spirit". The addition of the newbuild will expand Silversea's fleet to nine ships. According to Enzo Visone, Silversea's CEO, "With enhanced design specifications and enriched content, the Silver Muse will continue to build on the sophistication, innovative style and ground-breaking concepts for which Silversea ships are renowned. This ship contributes to our ambitious growth plans that will ensure our continued leadership in ultra-luxury cruising". "We're very pleased to once again partner with Silversea," commented Giuseppe Bono, CEO of Fincantieri. "Silversea has shown remarkable dynamism and ability to achieve important results in this market. This project offers us the opportunity to develop creative solutions and set new standards for shipbuilding in the ultra-luxury segment, in which Fincantieri has won every new order on the market in the recent past".